Ed Dollard was a four year player for the Syracuse basketball team, captain his senior season, and the head coach for 13 seasons. As a head coach, he had 149 wins, 56 losses. 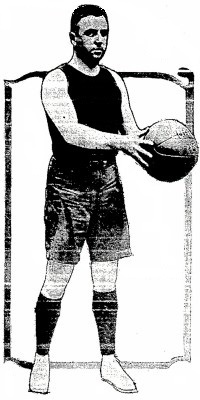 He guided the university to its only undefeated season in 1913-1914, going 12-0, and in 1917-1918 won the basketball program's first National Championship going 16-1 (there were no tournaments during this era). His only losing seasons were his last two, giving him eleven consecutive winning seasons. The Orangemen were undefeated at home his first five seasons. Dollard was a solid defensive player, who focused on guarding the opposing scorers, rather than taking his own shots. Dollard was a proponent of the short passing game. He was Syracuse's first paid head coach, earning $75 for the first season, and $100 for his second. He was known as a hardworking coach who took winning and losing in stride. The team went 37-16 in the four years Dollard played for the Orange. He originally started college at Holy Cross, but transferred to Syracuse in January of his Freshman year. 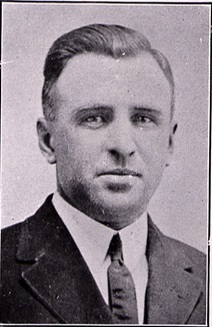 Overall, between his playing years and coaching years, the Orangemen were 188-75 in the 17 seasons Dollard was associated with the program. Dollard also played catcher for the baseball team at Syracuse, lettering all four seasons he played. He graduated from Syracuse as a Civil Engineer. He held worked for the city of Syracuse as the city commissioner of assessment and taxation until 1956 and was chairman of the county works commission. Edmund Dollard passed away in 1964. Dollard was inducted into the Greater Syracuse Sports Hall of Fame in 2009.